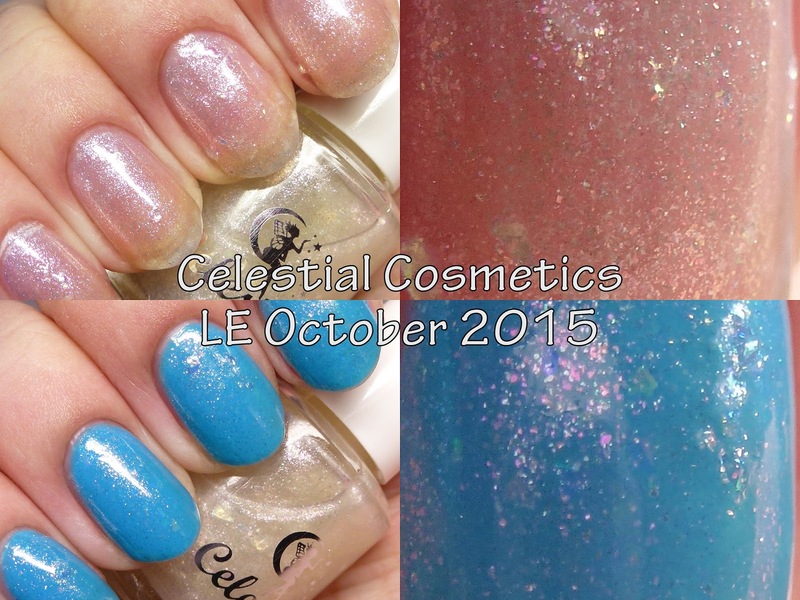 The LE October 2015 polish from Celestial Cosmetics pays tribute to the opal birthstone. This one can be worn on its own or as a topper and has a lovely ethereal quality. Let's check it out! LE October 2015 is sheer on its own, shown with four thin coats here. 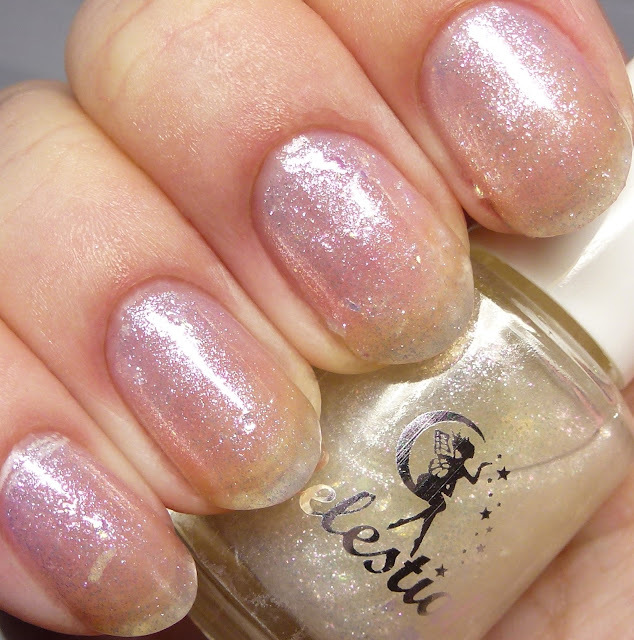 It has iridescent shard glitter and pink-to-green duochrome microflakes. The shards stick up a bit and it is shown here with top coat to smooth them. 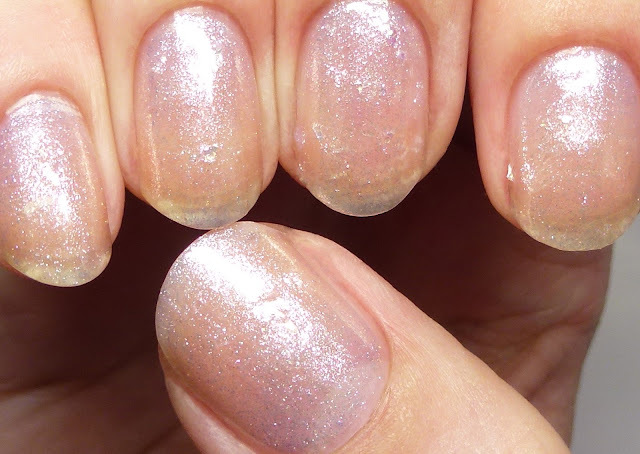 I also tried it in one coat over Celestial Cosmetics Weave a Spell from the Witchy Duo and the opal flakes play nicely off one another. 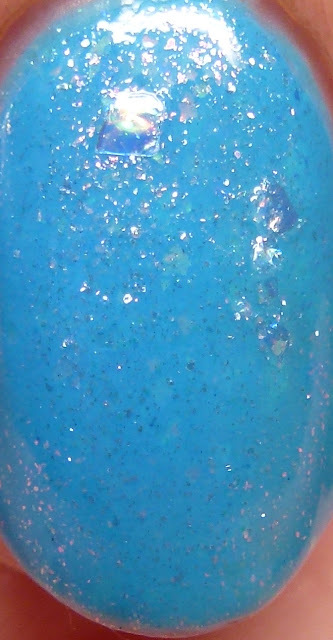 This polish is available through the end of October on the Celestial Cosmetics Australian site for AUD$ 11. Sadly, Nicki has had to discontinue shipping to the U.S., but the good news is that she is opening a U.S. site with stock shipping from the states very soon!